MINNEAPOLIS--(BUSINESS WIRE)--Oct. 22, 2013-- As the bedding industry's leader in individualized comfort, Sleep Number continues to introduce unmatched, benefit-driven products that solve customers' unique sleep issues. 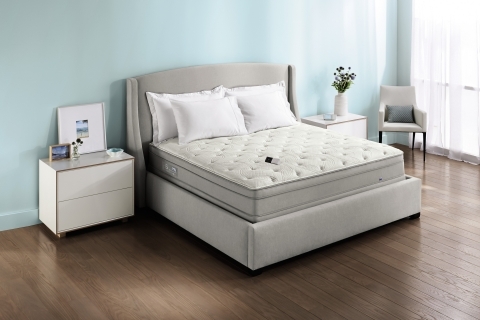 Last week, the company introduced the second edition of its proprietary Advanced DualAir™ technology in its new SLEEP NUMBER® Performance Series beds. "Product innovation is one of our core growth strategies," said Annie Bloomquist, chief product officer, Sleep Number. "Our unique business model of selling directly to the consumer provides us the opportunity to hear directly from our customers. Therefore, we have great insight into features and benefits that make a meaningful difference in our customers' sleep experience. We introduced Advanced DualAir technology in July, and our customers have responded positively to the enhanced individualized comfort and simple, intuitive design. We are now pleased to extend this innovation to our most-popular Sleep Number bed series." The Sleep Number Performance Series is the latest enhancement to the company's product portfolio, which delivers individualized sleep experiences at an unparalleled product value. Sleep Number's most-popular beds incorporate its new, proprietary PlushFit™ foam, with ergonomic, contouring support and soft, cushioning comfort, which delivers a new level of pressure relief so customers can sleep better. Sleep Number® p6 bed offers enhanced cushioning and support with a cool, soothing sleep surface. Resilient, PlushFit foam features zones for superior pressure relief, and moisture-wicking technology offers a cool, soothing sleep surface. Sleep Number® p5 bed offers superior spinal alignment with the perfect balance of softness and pressure relief. Experience the PlushFit foam zoned-comfort layer that provides contouring support. Queen size Sleep Number Performance Series bed sets range from $2,299.98-$2,799.98 and are exclusively available at Sleep Number® stores. Advanced DualAir technology will become core to the entire Sleep Number product line. To learn more about Advanced DualAir technology and the new Sleep Number Performance Series beds, visit one of the 425 Sleep Number stores across the country or SleepNumber.com. Sleep Number also offers a complete, exclusive line of innovative sleep products designed to meet every individual's needs. From the AirFit™ Adjustable pillow that adjusts for cradling comfort, to the new DualTemp™ layer that uses proprietary active air technology to heat and cool each side and works with any mattress brand, Sleep Number offers exclusive solutions designed to improve sleep.